New year, New bikes and the first one is going create a Marmite reaction!!! But, mostly, the people happy to tell you that those are motorbike or that riding and ebike is cheating, are those that have actually never tried one. Yes, they have an engine, but it only amplify your own pedaling effort so pedaling is tilll required and yes, one could take it easy, set the bike to turbo everywhere an comeback after 1 hours (most likely with a flat battery, not even having broken a sweat and with their HR close to resting level. Finaly, early October, while in Finale Ligure to participate in the last round of the Enduro World Series of 2018, I got the chance to test a Moustache Samedi Race 9 Carbon and came back so impress by ride quality, the attention to details in the design and a quality of the finish on the bike that immediatly started looking for the best possible way to aquire one for this season trail exploring as well as my new work horse when playing photographer and videographer for the Enduro Race team I have been managing since 2018 season. Being French myself I approached Moustache bikes directly, only to learn that althout there then only dealer in Sweden only sold a small selectiom of their commuter bikes, they have made an agreement with no other than Sweden largest online bike shop to offer their entire range of 2019. As good as the Samedi Race 9 Carbon was, his big brother,the Samedi SX9, really tick all the boxes for me so I contacted Cykelkraft and preorded one for ASAP delivery which ended up being 4 months away but with winter coming and the only other bike coming anywhere near it would have been the Haibike Flyon but it is unavailable at this time, unproven technology in term of reliability and I have not been able to test one and neither have many people that could rely on a well informed and impatial review. 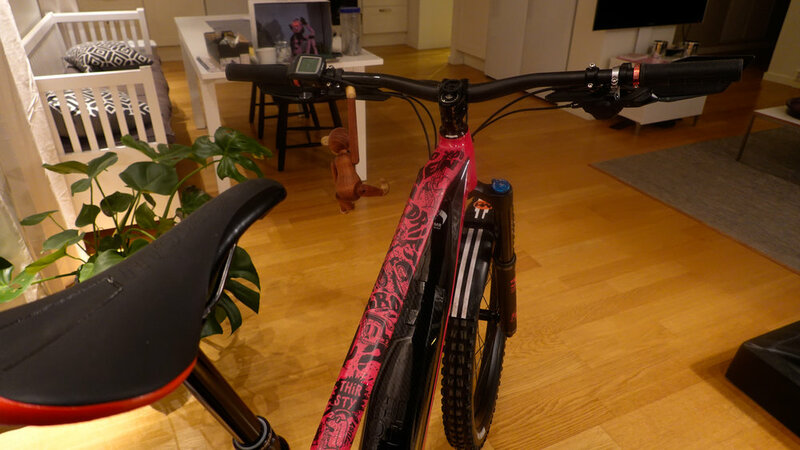 So here is it… The Moustache Samedi SX9!!! 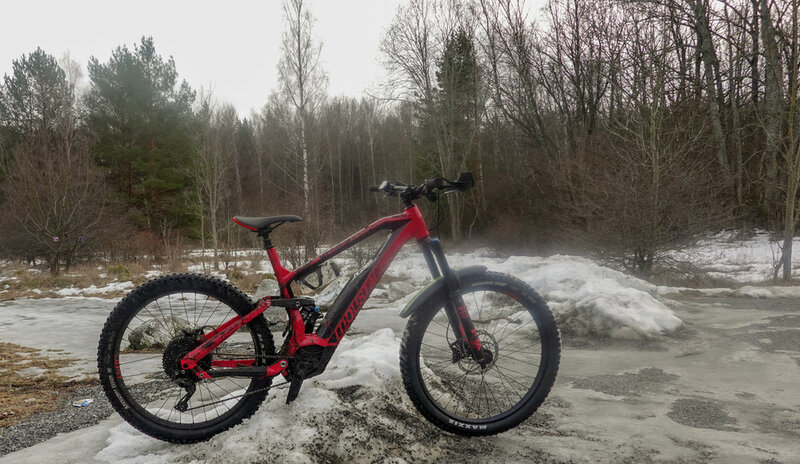 So, on a grey Saturday, as snow and ice kept on melting, I headed toward one of the few places where trails were suposed (as per the reports from local riders I received the previous day) to be mostly ridable without spiked tires on if I kept to the south side. 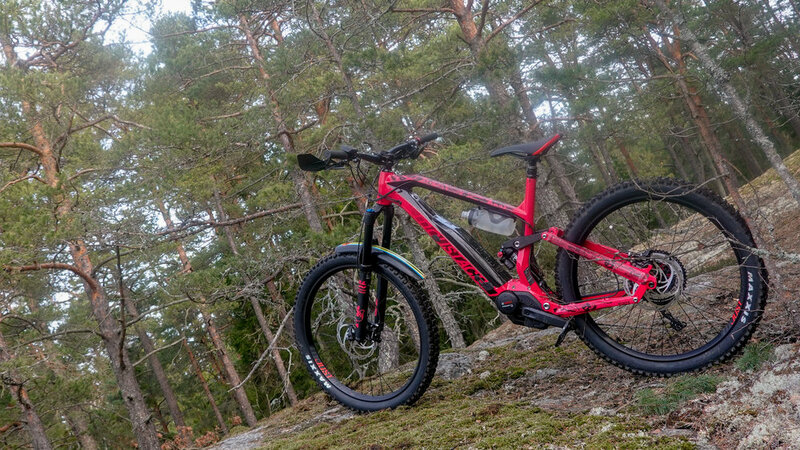 The Bogesund natural reserve and its official network of MTB trails. I have now add a few rides in progressively improving ground and atmospheric condition and although I am still getting the hang of the add weight, need for earlier braking point, etc.. I have yet to take it into a bikepark on a jump line or taken any drops bigger than 1 m, I can already draw a few conclusions on the bike itself while, side products like the Smartmousse will require both more riding and back to back with wheels with no Smartmouse on as I think that the rotation weight make itself feel more when costing downhill then when pedaling under assisted power. Dyebro is no invisiframe, but neither does it try to be. 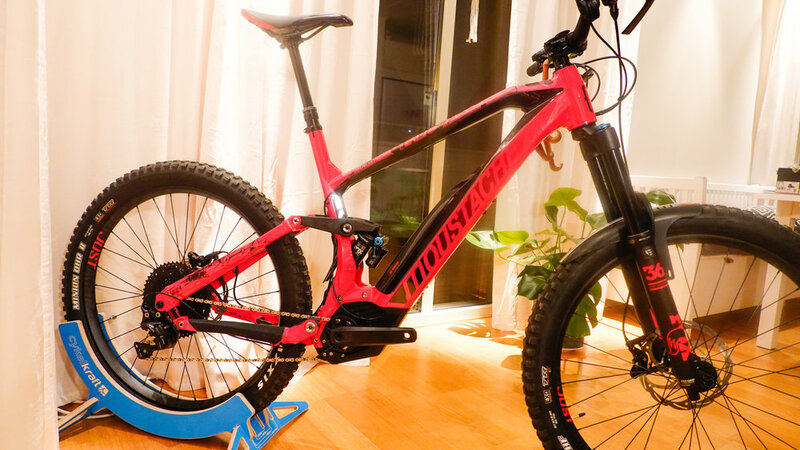 All Mountain Style frame protection products would be a better comparatif both in price and function. And having now used them both. I would suggest that it really comes down to preference in design and feel between the honeycomb fell of the AMS and the smoother feel of Dyebro. Finally, the Mr Wolf Recchie are visually a hard pill to swallow with the smaller AVS handguards far more discrete. 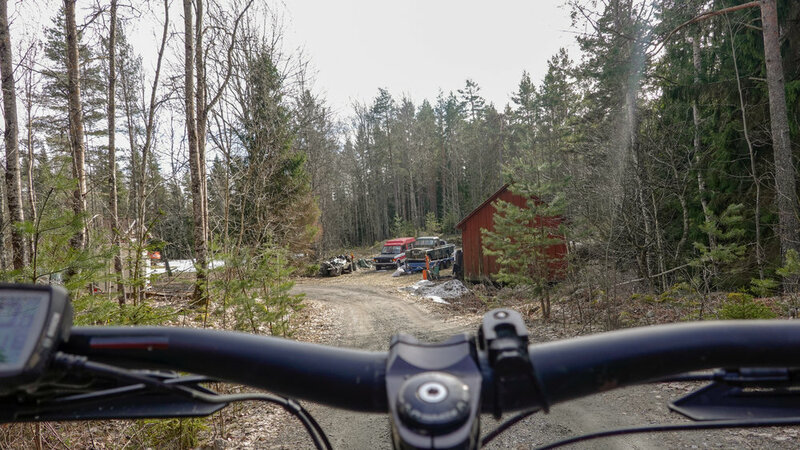 However, on an ebike design for agressive riding, and rather tight natural trails I am mostly riding, my nuckles are very very glad that I really don’t care that much about looks when riding alone in the woods… They are very effective!!! Those are my first thought on the bike and various add on and a full review will be coming with video in a couple of month but so far I am very please with the moustache & the recchie but I reserve judgement on the Smartmouse until I have time to really test their efficiency and evaluate the drawback of the added weight in the worse possible place on the bike.